The event was aimed at legal professionals, professional court users and all those interested in the future reform of the civil court. It was one of a series of events to inform people of, and involve them in, the work we are doing in collaboration with the senior judiciary and the Ministry of Justice, to reform the courts and tribunals system. 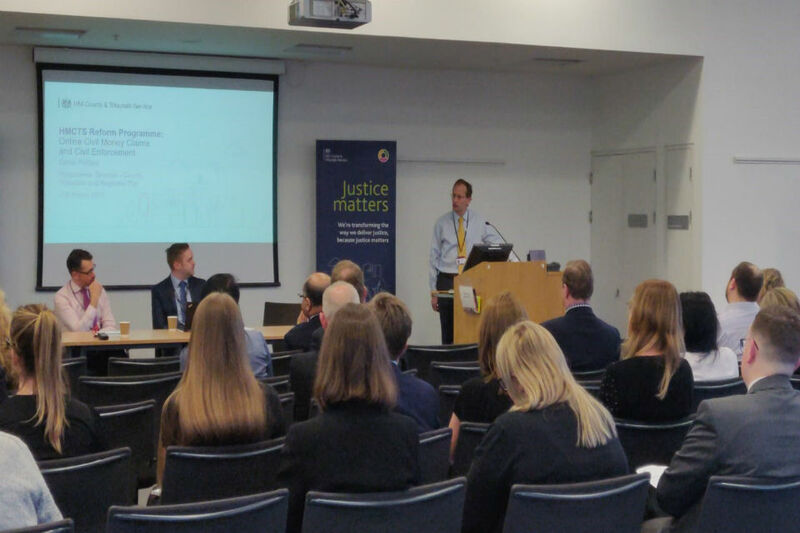 This event outlined details of the system we’re developing that allows litigants in person to submit money claims online through the new online Civil Money Claims service. The system is currently being tested by a small group of legal professionals. The event showed those attending how an expanded version of this service will eventually be rolled out. This was then followed by a demonstration of the online service. The evening also covered planned changes to civil enforcement which aims to give both those applying for enforcement and debtors a better user experience. 19 March 2019 Question and answer video added. 14 March 2019 Event videos added. 12 March 2019 First published.